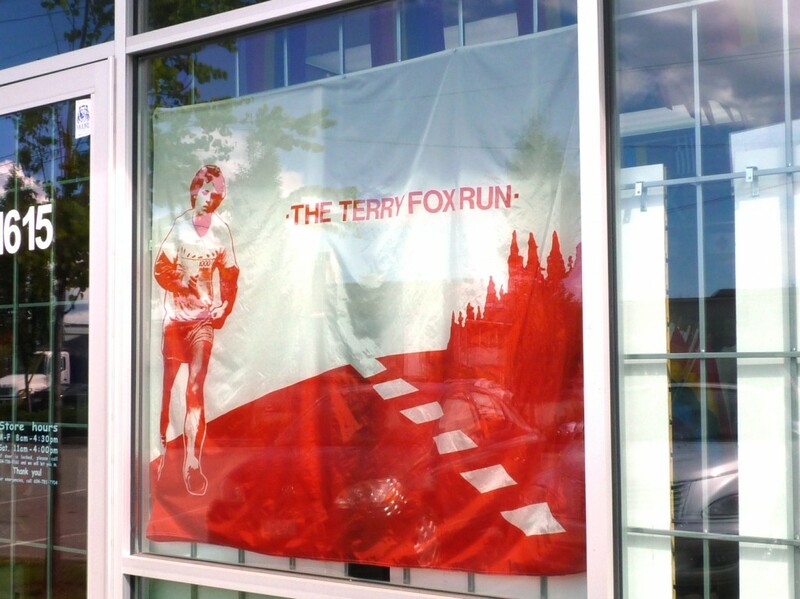 A Terry Fox Run Banner displayed at our store. The Terry Fox Run celebrates its 35th Anniversary this Sunday which is a real cause for celebration. 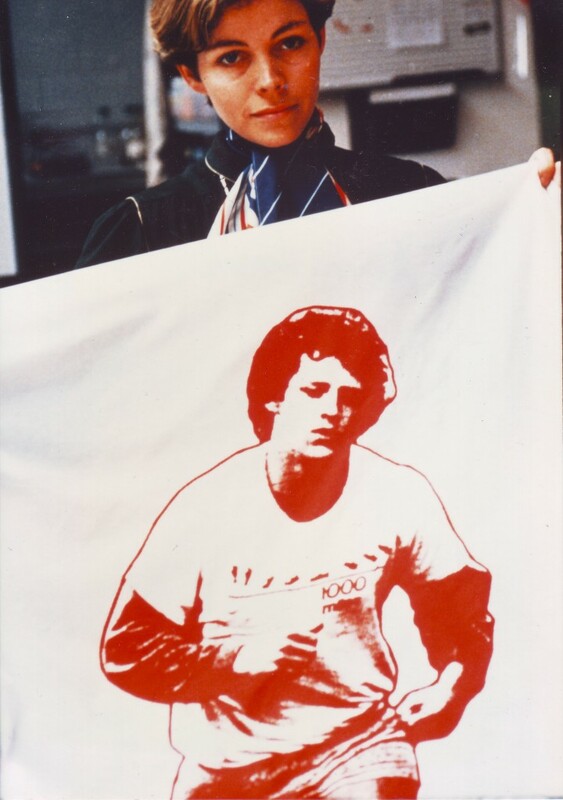 In 1980, young Terry Fox set out to race across Canada. Often, he would cover about 26 miles in one day, and day after day he continued. It was an inspiring endeavour and one that captured the heart of many Canadians. The Flag Shop was fortunate enough to be involved in that first year when our founder, Doreen Braverman, approached Terry Fox’s mother, Betty with an idea to produce flags for the event. We then designed a 3’x6’ flag that sold for $100 dollars apiece with all proceeds donated to the cause her son was championing. 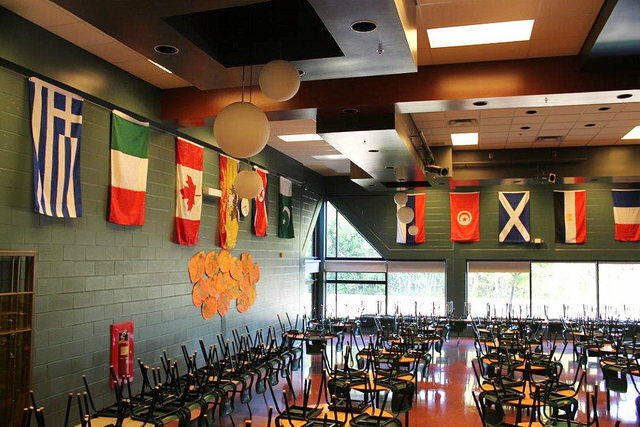 We continued to produce these flags for the Terry Fox Foundation for several more years. Now we have only one left which will hang proudly this weekend behind the speaker’s podium at Stanley Park where Terry Fox’s sister, Judith Fox, will be speaking. A photo of Laura Hansen with one of the original flags in 1980. Thank you to the Terry Fox Foundation, for allowing us to participate in this way and for those of you who feel moved to donate to the cause, we encourage you to visit their website and make a contribution. You are currently browsing the The Flag Shop Blog blog archives for September, 2015.